Will they give you that sinister smile too? 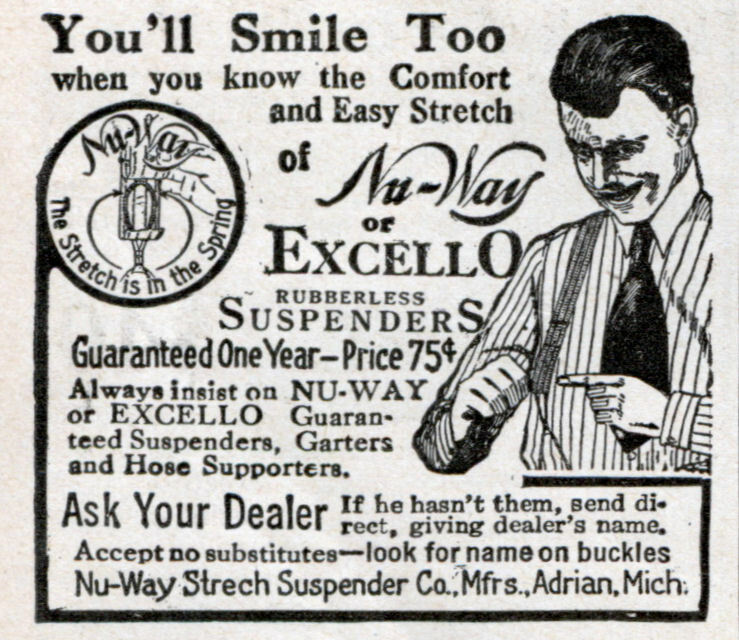 Always insist on NU-WAY or EXCELLO Guaranteed Suspenders, Garters and Hose Supporters. If he hasn’t them, send direct. giving dealer’s name. 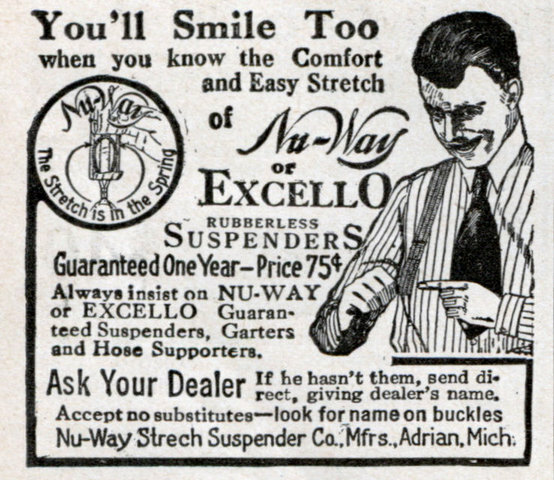 Accept no substitutesâ€”look for name on buckles Nu-Way Strech Suspender Ca., Mfrs., Adrian. Mich. Looking at the grin on this guys face I kinda wonder what the other end of his suspenders are tied to? According to the Adrian, MI history page it’s an error! So instead of rubber, you get a metal spring that’s prone to rusting? Hm. I’ll take the rubber?